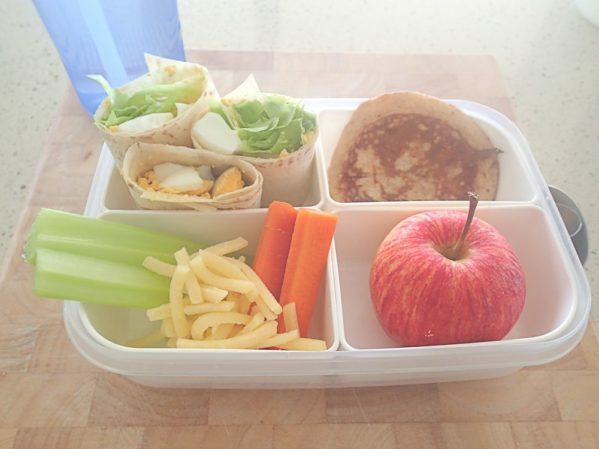 What's a Healthy School Lunchbox Look Like? 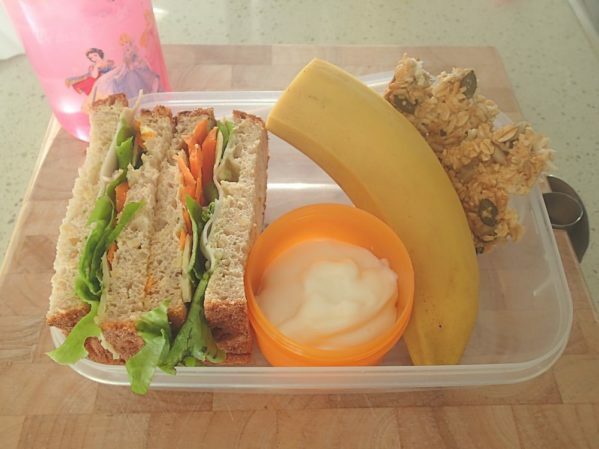 When it comes to lunch box ideas, most Australian parents find it’s a fine balance between packing what they think is right and what their children will actually eat. 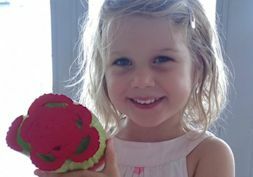 Even when they think they’ve nailed it, external stimuli such as playground eating time or what other children have/say plays a role in what ‘boomerangs’ home in the lunchbox that evening. So what makes a healthy lunchbox and ticks all the nutritional guidelines in simple terms? * Core foods include vegetables and legumes/beans, fruit, grain (cereal) foods – mostly wholegrain and/or high fibre, lean meat and poultry, fish, eggs, tofu, nuts and seeds, and legumes/beans, milk, yoghurt, cheese and/or their alternatives – mostly reduced fat. So just what does all this mean? One component I keep in mind is to bring as much colour and crunch to my girls lunch box as possible. In essence, the more colour we see, the larger the nutritional range (skittles are not included). This will alleviate the all ‘white’ lunchbox syndrome (think pasta, white bread, biscuits and overdoing dairy) while also bringing an element of surprise and excitement once your child sits down to eat. 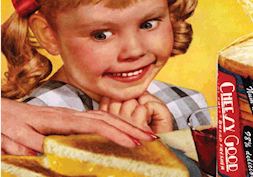 From what I am hearing though and the area that most parents are coming undone is around the subject of snacks. There are many food manufacturers convincing us that their products will make our lives easier, but these are the ones we want to avoid. For example, it’s startling to realise the amount of sugar found in a humble store-bought muesli bar (up to 4 teaspoons), a juice popper (5 teaspoons) and an innocent packet of sultanas (6 teaspoons). This can take a simple snack to a whopping 15 teaspoons, far above the recommended daily recommendation of 6-8 teaspoons for children. The same applies to saturated fats (think crackers, crisps, cake, etc. ), which binds most snacks together. 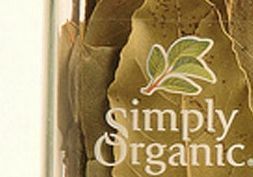 Avoiding pre-packaged ‘convenience’ foods and packing foods that are as close to nature as possible is the simplest option. If you can’t avoid the temptation of convenience, search for snacks that are around 600kj or less per serve, 5 grams or less of saturated fat, less than 15 grams of sugar per 100 grams (or not listed in the top three ingredients) and less than 200 milligrams of sodium. Of course, if your child is active and sporty then compensate for the extra energy burned by adding larger portions or another snack from the core food groups. TIP: Bake up batches of healthy muffins, slices and bars on the weekends, wrap in portion sizes and store in the freezer and your daily lunchbox snack dilemmas will be a thing of the past! 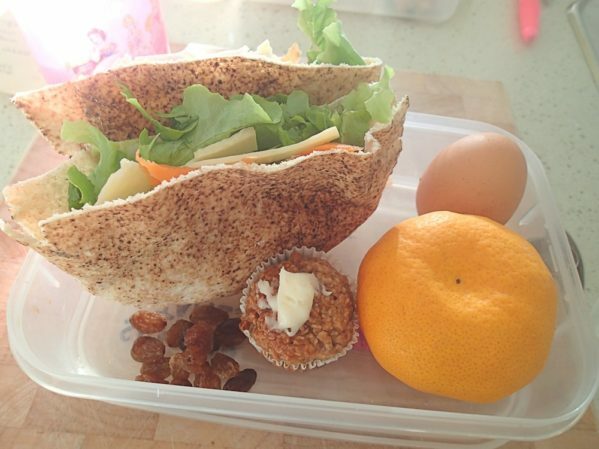 What did you pack in your child’s lunch box today?